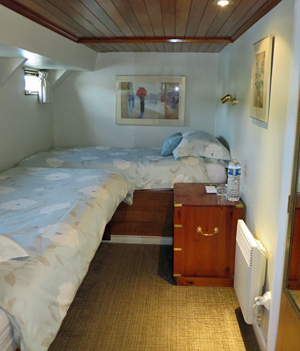 LUCIOLE is a comfortable and casual first class barge cruise on the Nivernais Canal in Burgundy. 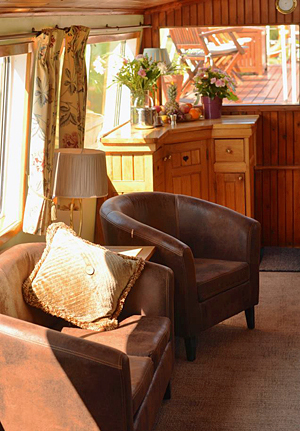 It is the original hotel barge dating back to the 1970's and has been updated over the years to provide a warm and inviting barge cruise. Captain Francisco and tour guide Anna, are joined by a crew of four to take care of every guest's needs. 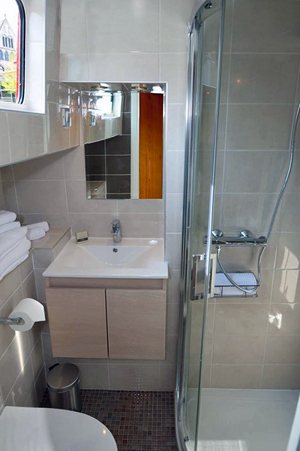 Our clients consistently rave about Luciole for the excellent food and wine, friendly crew, diverse excursions and comfortable barge. The owners, Penny and John Liley, are pioneers in barge cruising and continually improve the barge and experience for their passengers. The rendezvous in Paris at the Hotel Mansart with the Luciole's representative is at 2.30 pm, followed by the journey to Auxerre in the barge's private bus. The Luciole will be moored on the impressive river frontage of the city, overlooked by the Cathedral, the 13-15th Century Abbey and Parish Church. A Champagne reception welcomes our guests on board. The barge cruise upriver leads us into beautiful pastoral countryside intermingled with sweeping reaches of the River Yonne. After lunch we arrive at the Crément making centre of Bailly. Here in 1972 local winemakers restored the fortunes of this ancient vineyard area with the production of sparkling Crémant de Bourgogne in what are now known as the Caves de Bailly. The picturesque villages of St Bris and Irancy, also devoted to wine, stand nearby. Our visit in the afternoon is made to a wine cellar in the vicinity of Chablis, barely sixteen kilometres to the east of Auxerre. Chablis is one of the greatest names in wine, with production within a strictly-defined area. The most prestigious wines are produced from vineyards on the south of the town on 'Grand Cru Hill'. The barge cruise in the morning along the canal takes you towards the River Cure on the 'Vermenton Arm' and the village of Accolay. Our visit to historic Auxerre is in the afternoon. The city offers many historic features: the Cathedral of St Étienne, Abbey of St Germain, with the Romanesque crypt and attractive clock tower in the centre of the town, built in the 15th Century. The Church presides over one of the most attractive waterfronts in France, recently renovated and where the Luciole now has her own private mooring. Place St Nicholas, by the river, commemorates the patron saint of barge people. Nearby from the Place du Coche Eau, passengers once boarded packet-boats for Paris. Auxerre was originally a Roman camp and became a centre of learning and pilgrimage in the Middle Ages. It was declared a holy city by the Pope in the 11th Century. The town's strategic position ensured a rich trading history and also saw Joan of Arc stop twice to pray in the Cathedral of St Étienne. Napoleon famously stayed in Auxerre during the hundred days following his return from exile on Elba, before heading north to Waterloo in 1815. The afternoon provides a good opportunity to visit the shops and take time to enjoy French provincial life. Our visit in the morning from Accolay, takes us to the delightful town of Noyers-sur-Serein. With its friendly market stalls, half timbered houses and turreted ramparts it is easy to see why Noyers is considered one of the most beautiful villages in France. Above the town, the reconstruction of the medieval castle progresses. Catholic Henry IV ordered the destruction of the Protestant-owned château in 1599. Look out for the orchids in May and June. One of our charter groups, with a passion for these rare wild flowers found 6 amongst the old grounds of the chateau, much to the great delight of Willem Adriaan de Bruyn, who leads the renovation of this gem of Burgundian heritage. The barge cruise after lunch continues southwards to a night-time mooring beneath the walls of Mailly-le-Château. 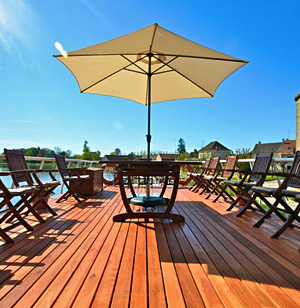 Here you can take the steep path from our mooring at Bourg den Bas, or Lower Town up to Mailly-le-Château where a terrace offers spectacular views of the Yonne Valley. Our visit to Vézelay is in the morning, where the spectacular 12th Century Basilica dominates the town. The steep-sided hill town has numerous shops and cafes. Vézelay was the historic starting point for two of the Crusades to the Holy Land, where Saint Bernard preached to the Crusaders in the presence of Louis VII and Eleanor of Aquitaine. Vézelay owed its position of influence and prestige since it holds the relics of Saint Mary Magdalene and a Papal declaration attesting to their authenticity. The town was a high point of Medieval pilgrimage and was a major gathering point for the Crusaders on the way to Santiago de Compostela in northern Spain. There is plenty of time to soak up the atmosphere of this hilltop town and a super chance to visit the numerous craft shops selling clothes and gifts. Another opportunity too, to stop at one of the local cafes and watch the world go by (very French cafe life!). The barge cruise in the afternoon to an evening mooring at Lucy-sur-Yonne passes through a region where dramatic cliffs stand by the water's edge. Watch out for the delightful ducks and geese, who have made this canal bank their home. Along the cruise route the Rochers du Parc and those at Les Saussois are regularly used by climbers. The barge cruise in the morning takes us to the delightful Medieval town of Clamecy, a worthy venue for the climax of our cruise. The town features the 12-16th Century church of St Martin that stands up on the hill in the town centre. Beside the river, stands the church of Our Lady of Bethlehem, which was opened in 1927. It was dedicated to the 50 successive bishops of Bethlehem who, unable to preside in Bethlehem itself, were resident at Clamecy from 1225 until the French Revolution in the late 18th Century. Our visit on the final afternoon is to the imposing Château of Bazoches. Set on a hillside amidst splendid rolling countryside, this was the 17th Century home of the Marquis de Vauban (1633-1707). Vauban was France's great military tactician and engineer, who was responsible for the creation of the first coherent network of fortifications surrounding the developing kingdom of France. He was also a prolific and at times visionary writer who remained steadfastly loyal to his roots in the Morvan region around Avallon and Vézelay and considered the Château of Bazoches as his true home. "The cruise was fantastic! Every member of the family had something that they really enjoyed. The crew was absolutely fantastic and the food was unbelievably good to the point we ate way too much and are all eating salads this week! I would absolutely recommend this cruise to anyone I know. Before and after the cruise we also were able to tour Paris, and seeing the sights there along with the countryside of France made it the absolute best vacation possible. Also, as an added touch, Penny (Luciole's owner) called and spoke with Gary while on board to see how things were going. That was a very nice touch​. "I can't thank you enough for all that you did to help us with planning this. Everything was just as we dreamed it would be and we all will take many happy memories from our week." 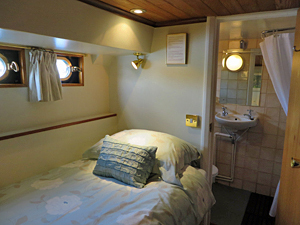 Jamie G.
"I am happy to say that all expectations were met with the barge cruise. The crew could not have been more delightful and accommodating. The food was exceptional! We loved hearing descriptions of the wine and cheese at each of the meals. We were also pleased to get a copy of all the menus. Andy our tour director was great; well everyone was! It was also fun to meet Penny the owner of the barge." 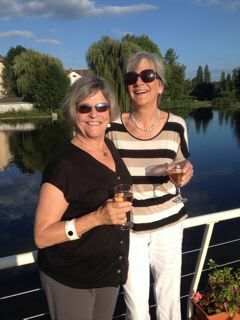 Susan S.
"What a fabulous trip with a wonderful group of fellow travelers! The Luciole trip was absolutely wonderful - beyond our expectations. Thank you so much for recommending it and for all your help." Nancy W.